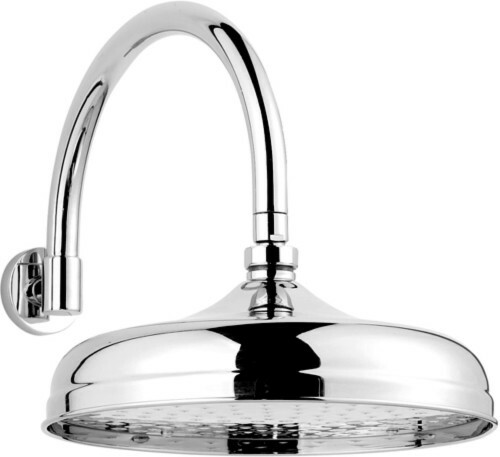 Component > Traditional 12" Apron Shower Head With Curved Arm (Chrome). Traditional 12" apron shower head in chrome with curved arm (300mm). 1 Bar minimum water pressure required. All Hudson Reed shower components are guaranteed for 20 years. Ultra shower components are guaranteed for 10 years.